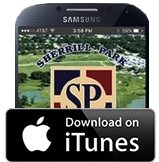 Welcome to Sherrill Park Golf Course in Richardson, Texas. Course #1 is open for play. Course 2 ranked #10 Economy Course in Texas by The Dallas Morning News. Richardson is the only city in Texas with two economy golf courses ranked in the Top 10. Golf League plays on Monday mornings during their Spring and Fall seasons. Click here for more information. Effective January 1, the 2013 sales tax will be applied to all green fees and punch cards. The "2012 Texas Golf" report from The Dallas Morning News ranked Sherrill Park the first (Course No. 1) and 10th (Course No. 2) in the newspaper's ratings of economy, public-access courses statewide. No other city in Texas had two golf courses ranked in the Top 10 in the economy category, and Sherrill Park Course 1 was the only DFW-area golf course to place first statewide in its price category. The 2012 Dallas Morning News ranking was just the latest recognition for Sherrill Park, which has consistently received honors from golf professionals, writers and executives for the quality of play, course design and golfer experience.